Well look what’s arrived on our local iTunes store! 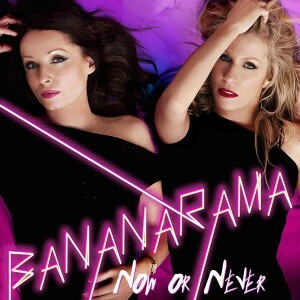 Yes, it’s a brand new EP by those two UK vixens of dance-pop Bananarama. Released independently, the ‘Now Or Never’ EP contains four tracks, including a cover version of the recent Maroon 5 smash ‘Moves Like Jagger’ and a track called ‘La La’, along with standard and extended versions of the title track. The ‘Now Or Never’ EP is available digitally now.